The Happenstance quintet delves into Ancient Greek Mythology with guest artist Craig Jaster generating a live musical score. In a pared-down 1940’s aesthetic a chorus of workers assembles lightning bolts and mines the Underworld. Like Sisyphus they must endlessly repeat their tasks. With an ample smattering of amusement, the performers invoke the Muses, offer Sacrifice, suffer Hubris, consult Oracles, and meet Fate as they portray an array of mortals and Gods whose flaws reflect their own. 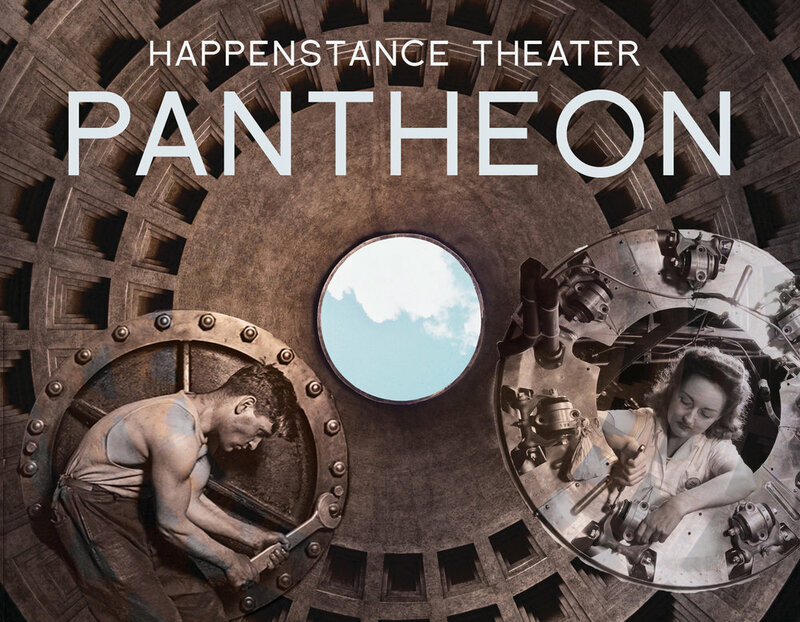 HAPPENSTANCE THEATER, founded in 2006, is a professional company committed to devising, producing and touring original, performer-created visual, poetic Theatre. Our ensemble has been developing work together since 2012. We are multi-talented performers who craft all aspects of our pieces from concept to realization. Under the Artistic co-Direction of Mark Jaster and Sabrina Mandell, we harvest imagery from the past and re-contextualize it in performances that address eternal themes of life, death, and the ephemeral. With the simplest means - movement, silence, theatrical clown, music, text, physical comedy and beauty - we seek to elevate the moment when the performers and audience meet, to lift the encounter beyond the daily and pedestrian into the realms of dreams, poetry, and art. Meaning is often discovered by happenstance. In 2016 Happenstance received three Helen Hayes Awards for Outstanding Ensemble, Outstanding Costume Design and Outstanding Lead Actor. In 2017 Happenstance received two Helen Hayes Awards for Outstanding Costume Design and Outstanding Musical Direction.